Calling all Cooler-toting Campers and Tread Heads - NAVAJO FLAT Campground, OHV TRAILHEAD and DAY USE AREA awaits you and your OHVs. A multi-use trail system that includes routes designated for motorcycles and All-Terrain Vehicles (ATVs) sits aside your campsite in this mecca of motorized fun. 4WD, ATV, Motorcycle (legal, dual sport, green, red as appropriate), and SUV/passenger vehicle access on unpaved routes draws you out of reality and inspires your wanderlust to reawaken your childlike sense of play. Navajo Flat Campground is located in San Luis Obispo County, approximately 35 miles east of Santa Margarita. Access is via State Highway 58 and Forest Service road 29S15. The campground sits at approximately 1,920 feet in an open area surrounded by private property. McGinnis Creek, which flows intermittently during the wet season, is adjacent to the campground. Most visitor use occurs in the spring, fall or winter when temperatures are mild. This area is well known for its OHV trails which accommodate motorcycles, ATVs, and 4x4s. McGinnis Creek ATV Trail is located within the campground and connects to the nearby, extensive OHV trail system. A beginner’s riding area is located in the campground. This site is available for annual motorcycle events during the year. 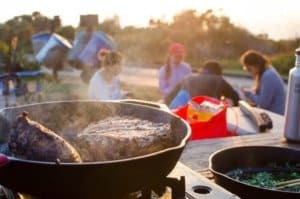 The campground has five double camping units and one single camping unit, each with accessible picnic table, fire ring, pedestal grill and shade structure. Five of the sites have parking spots parallel to the site. The large parking lot provides parking spurs large enough for 35 vehicles with trailers or RV parking. One single vault toilet building is available. Drinking water is not available. 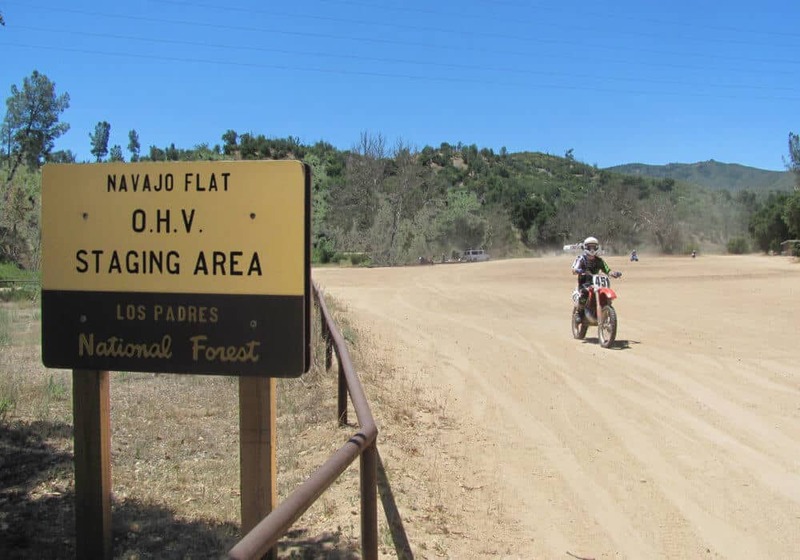 NAVAJO FLAT Campground, OHV TRAILHEAD and DAY USE AREA is best appreciated by true OHV enthusiasts. ATV's/Quad Runners/Dual Sports/Single track, will all find easy access to 45 miles of marked and rated trails all accessible from your camping spot. There is also a KIDS TRACK/BEGGINER TRACK located within the facility boundary. Motorized access leads to a wide variety of non-motorized activities such as hiking, fishing, hunting, equestrian trails, and wilderness access. Oak, Conifer and various Chaparral trees dot the landscape in this rider’s paradise. The terrain is mostly rocky and hard packed. The views of the coastline and the Sierra Mountains on clear days can be enjoyed from the higher peaks such as Pozo Summit. NAVAJO FLAT Campground, OHV TRAILHEAD and DAY USE AREA includes information about the ecosystem, Tread Lightly and Leave No Trace ethics, as well as an OHV trail map of the area.